There used to be a time when YouTube Video Editor was the be all and end all insofar as video editing was concerned for uploading slick videos on YouTube. Those were the good ol’ days, albeit for YouTube Video Editor. But, times they are a changin’ and how! Now if you want to upload some sleekly edited videos on YouTube to get more views, you would need a nifty video editing software. The problem is: there are plenty of paid and free video editing software lingering on the Internet. To make matters worse, the paid ones are quite expensive, hence everyone can’t afford them. So, how do you find a decent free youtube video editor? By going through our lineup of the best free video editing software for YouTube, obviously! Since editing is a resource-intensive task, you must settle for a video editor that is easy on your system. There are loads of other things you ought to factor in before you single out the most suitable one for you from our list of the best free video editing software for YouTube. For starters, you wouldn’t want a video editor that leaves watermarks on your clips. Now, since we scoured the entire web to pick the very best free video editing software for YouTube keeping you in mind, it only makes sense to have good long peep at our roundup. Not only are these video editors powerful and simple, they put some premium ones in a tight spot, too! 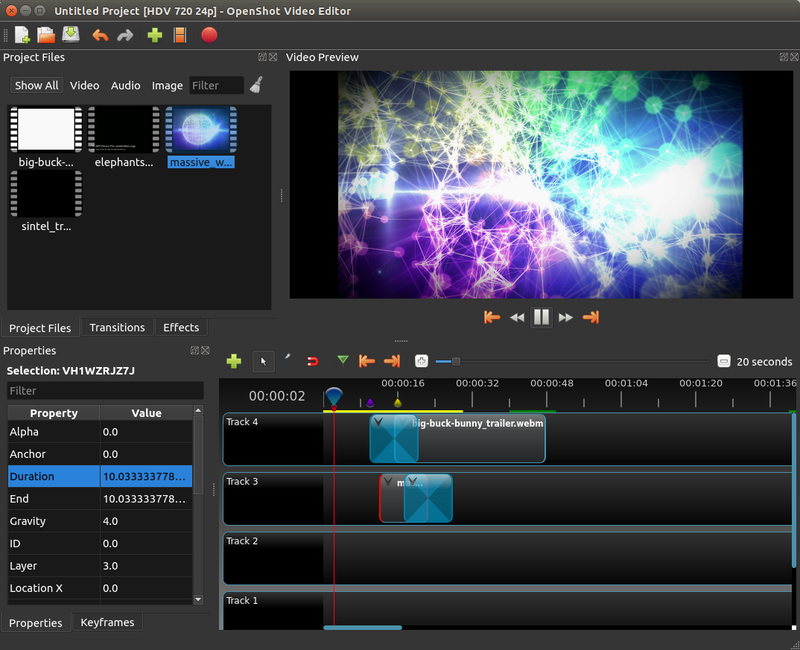 A splendid desktop program, VSDC Free Video Editor makes a great replacement for YouTube Video Editor. Why? You can do a lot of things such as importing existing video clips, or recording videos directly from your screen or webcam in a neatly designed interface that is easy to master. With a dazzling array of audio and video effects, VSDC can bring to life your videos with finesse and quality production value. Not to mention, there’s excellent file format support, and you can create some impressive voiceovers and add elements such as subtitles, and shapes. One slight glitch though, you’ll need to disable hardware acceleration for exporting videos from VSDC’s free download version. All you have to do is uncheck the box marked ‘Use hardware acceleration for encoding video’ under Acceleration options tab. If you are looking for an open source video editor that can edit commercial videos, Shotcut is definitely one of the best free video editing software for YouTube. It’s a very flexible browser-based editor available on major platforms such as Windows, Mac and Linux. 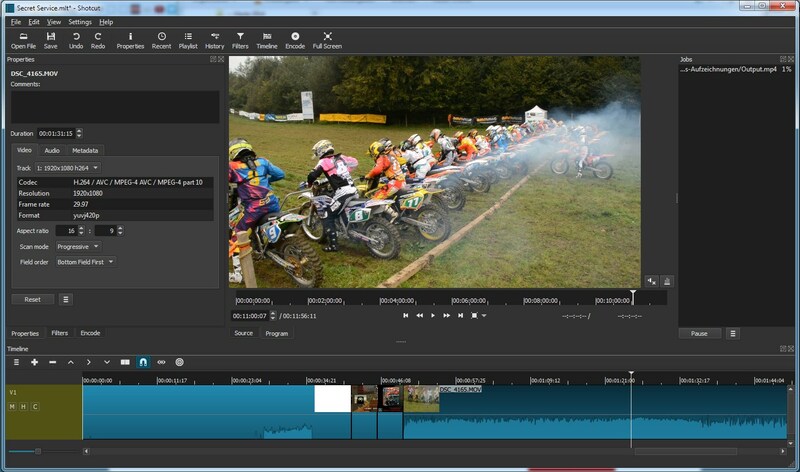 At first glance, Shotcut appears like a premium video editing program but it’s quite easy to use. Just drag the files you want to use in your project onto the timeline at the screen’s bottom and you’re ready to go. We were enamoured with the sheer number of both video and audio filters it has considering Shotcut is a freeware. 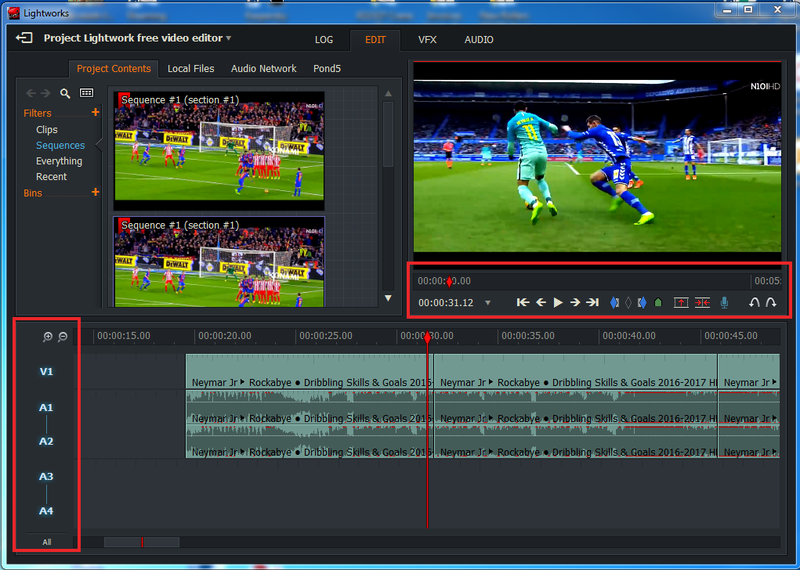 Moreover, since Shotcut is a non-linear video editing software, all the effects/filters are fully customizable i.e. you can add, remove and change them any time. Bereft of any complex menus and navigation tabs, Avidemux is completely free and easy to use. Since Avidemux is primarily a video encoder, you might only see a few basic cutting tools at first glance. Dig deep a little further though, and there is a gamut of surprising filters and transitions. You can do lots of stuff such as apply borders, crop your clips, adjust hue/saturation, sharpen, reduce noise, and more. Plus, there are many filter options you could experiment with, such as resampling options, and a mixer. The only downside is you cannot drag and drop photos and video onto a timeline in storyboard style, but should you choose a different editor for YouTube videos, Avidmux still comes in handy for converting videos to different formats. A unique entity on our list of the best free video editing software for YouTube, ClipChamp lets you edit videos within the comfy confines of your browser i.e. by being online. If you are a vlogger, you can upload your own videos or record directly from webcam and use its simple tools to trim, crop, flip, rotate or adjust the colours in your video. All you ought to do is to hit ‘Start’ and your video will be processed quickly for uploading to YouTube. That sounds all good and hunky dory, but there are certain restrictions you will have to put up with. Firstly, free users can only create three videos per month not longer than 5 minutes and each at a maximum resolution of 1080p. Though, you can earn more videos by referring your friends. 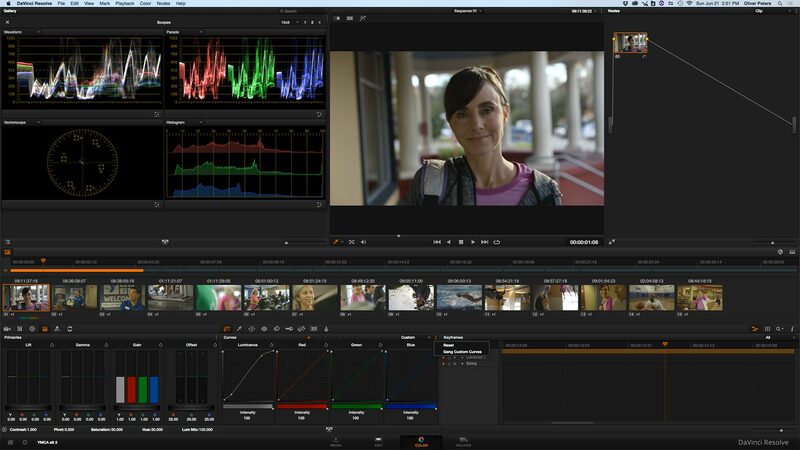 Behind a quirky interface and a vertical timeline, lies the essence of this online video editor. 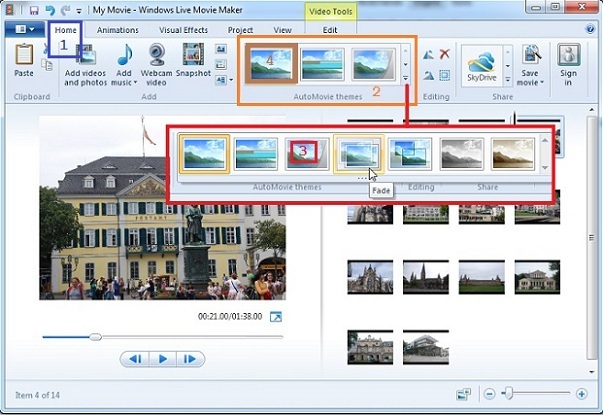 Movie Maker online’s interface might seem a bit overwhelming at first glance but it is worth checking out. Also, instead of the usual video and audio channels, you get the options: music, background, text and main. The best part about Movie Maker online is that it is linked to archives of a huge number of stock photos and music that are all royalty-free. They come in handy for jazzing up your work. Not to mention, some really nice and snazzy one-click transitions and effects. The only drawback is that Movie Maker online has loads of ads on its interface which can be quite annoying especially when you are editing videos. 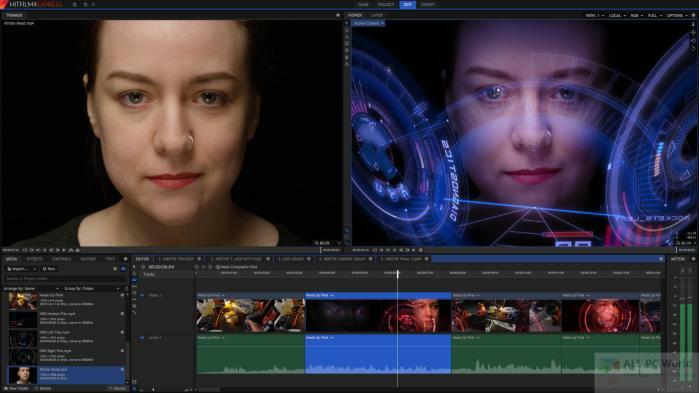 Another brilliant entity on our roundup of the best free video editing software for YouTube that offers professional features for free, HitFilm is adorned with advanced cutting tools, compositing options, layers and masking, a formidable set of audio and video filters, and sleek chroma keying for forging green screen effects. Of course if you aren’t satisfied with the number of tools in the free download version, you can get your hands on the profssional version starting at about US$10 featuring split screen masking, exposure adjustment, colour-correction, and abundant creative filters. DaVinci Resolve is actually a premium software, but like HitFilm Express its free full download version is loaded with so many professional grade features that you wouldn’t trade it for a premium video editor. Thanks to an intuitive interface for editing, audio mastering, colour correction, and a multi-track timeline for arranging video and audio clips, DaVinci Resolve will take care of all your video editing needs. It also supports context-sensitive trimming, and boasts a vast collection of effects and filters. Did we forget to mention there’s HDR support as well? Plus, you can even work on raw video files directly transferred from your camera. 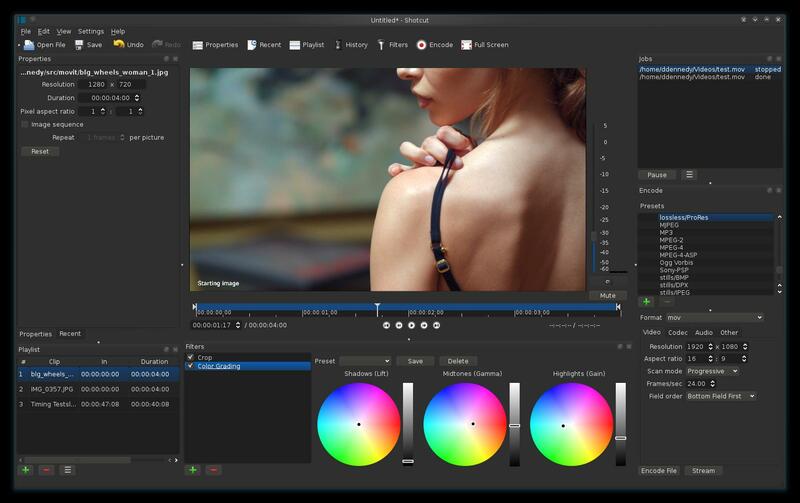 LightWorks is a professional free video editing software for creating YouTube-worthy videos thanks to its non-linear style of video editing. The good news is that LightWorks supports 4K video resolutions as well as both HD and SD formats. One of the reasons why LightWorks is considered as one of the best free video editing software for YouTube is the range of customizability that it offers. And, oh it also supports a multitude of different video import and export formats. 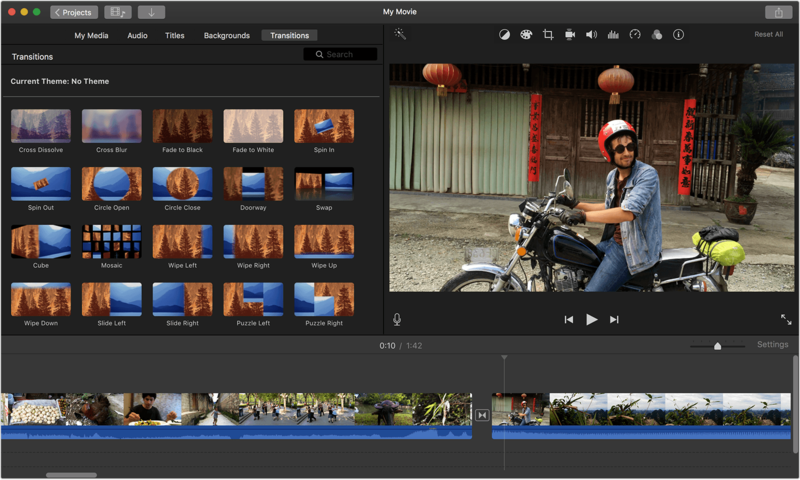 Mac’s very own basic editor for users who want to start off their video editing sojourn, iMovie has many built-in professional animations plus music. It acts as the perfect gateway for people who are new to video editing. You can fix shaky videos, and add great background music and visual effects. The obvious downside is that iMovie is exclusive only to Mac and iOS users. Also, it has a limited number of import formats for videos so you might have to convert your videos. The highlight of OpenShot is its impressive interface, a rarity for free software. It does feature the usual nitty-gritty of a solid video editor such as 3D animation options, video effects, animation framework, but the primary focus of OpenShot is on speedy and professional editing. It is possible due to an effective drag-and-drop functionality that quickly snips videos down to size, and adds background audio layers, etc. Overall, OpenShot is a worth a try if you have a significant workload of videos to enhance and not enough time to move through them. And…that’s a wrap! 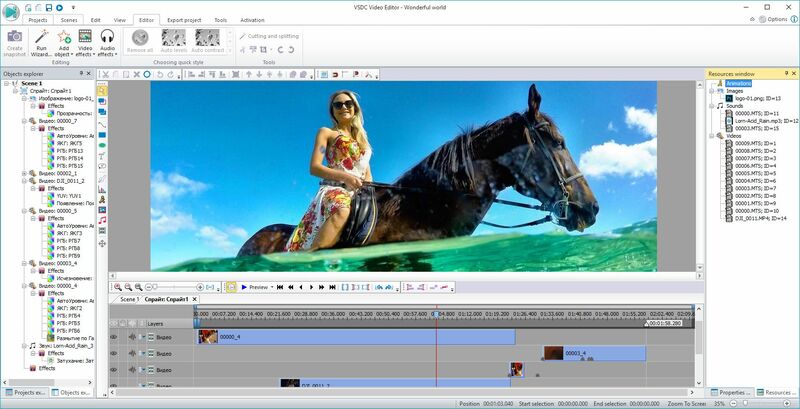 Did you find our roundup of the best free video editing software for YouTube interesting? Did we miss out on any of your favourites? Let us know in the comments.